Photography - Animal portraits in the ZOO - Zoo Photography is an eBook full of tips and tricks how to make perfect animal photos in the ZOO. Both starters and the advanced will profit. In this guide, examples from the experts practice are shown in splendid images (with camera settings!) to give instructions to take top pictures of animals big and small, fast or slow. Bars, wire mesh, glass, distance or artificial light are no insurmountable impediments for perfect photos. Let this book be your guidance to bring your hobby on a higher level, by taking pictures of zoo animals. Topics you will find in this book: Which equipment do I need? Will my compact camera do? - Use Automatic, or rather M (=Manual)? - How to get perfect focus - The histogram is an indispensable help - Birds in the air - Macro photography: How close can you get... - And suddenly there is snow! 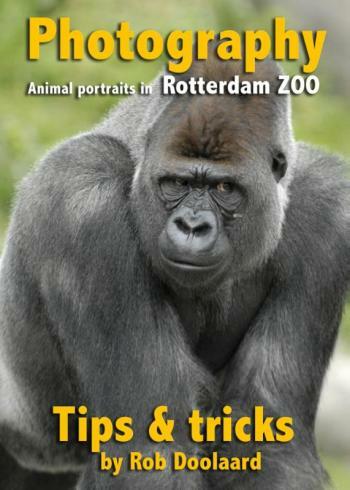 Zoo Photography - tips and tricks by Rob Doolaard - Home photographer at Rotterdam Blijdorp Zoo. This book is useful with a compact camera, too.